BlueSkyDrugs.com is a leading online generic pharmacy which provides generic prescription drugs and over-the-counter medications to customers around the world. 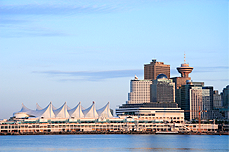 Our Canadian orders are dispensed by Candrug Pharmacy which is duly licensed in the province of British Columbia, Canada by the College of Pharmacists of BC. 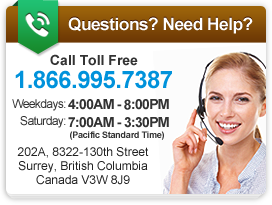 If you have any questions or concerns, please contact the college at: 200-1765 West 8th Ave Vancouver, BC V6J 5C6 Canada. 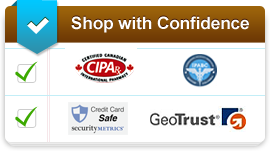 While based in British Columbia, Canada, BlueSkyDrugs.com has fulfillment partners in a number of countries around the world. These include Singapore, Turkey, Mauritius, India, the United States and the United Kingdom. By having several international dispensing partners, our online generic pharmacy is able to provide affordable generic prescription drugs and over-the-counter medications to more patients in across the globe. At BlueSkyDrugs.com, we provide our customers with low cost options for medications they require to manage their health. Brand-name drugs can be expensive and unaffordable, and many countries do not regulate the cost of prescription medications. Generic medications are of the same quality and potency as their brand-name counterparts, yet are available at a much lower cost. Furthermore, many countries regulate the cost of prescription drugs and allows for the development of generic drugs far sooner than in countries such as the United States. This means that since BlueSkyDrugs.com and its international partners can provide generic medications sooner and more affordably than other pharmacies. Our customers can access the generic prescription drugs and over-the-counter generic drugs that they require to address their health issues - without causing financial strain. At BlueSkyDrugs.com, we believe that reducing financial pressures can play an important role in improving our patients' health and lifestyle.